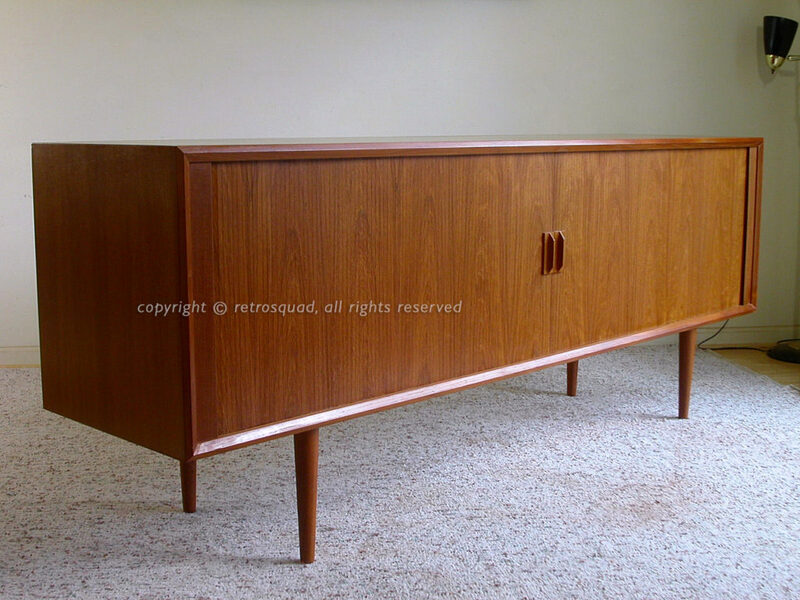 This is an absolutely stunning credenza guaranteed to get you many complements! 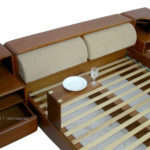 It features the very sought after sliding tambour doors, four felt lined adjustable trays and three adjustable shelves. 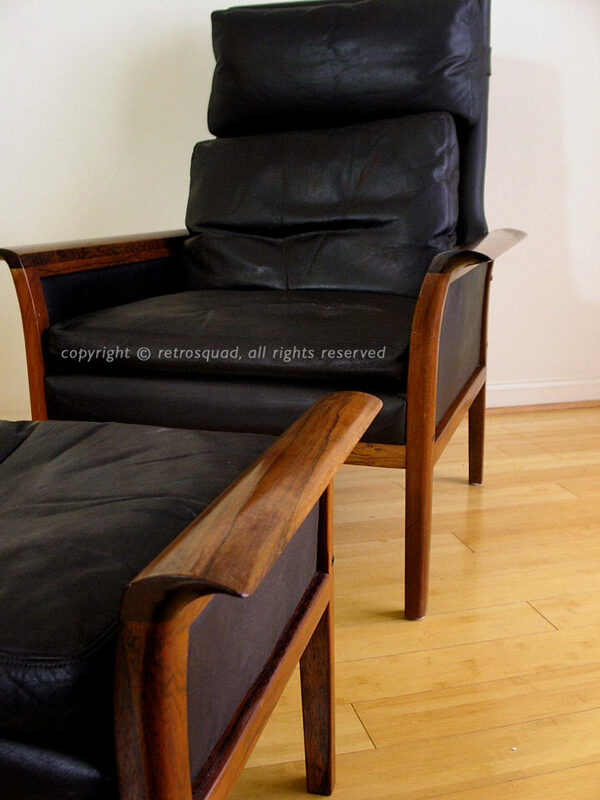 This finely crafted piece of Danish history was designed in 1960 by Sven Aage Larsen for Faarup Møbelfabrik and is in nearly perfect mint condition. 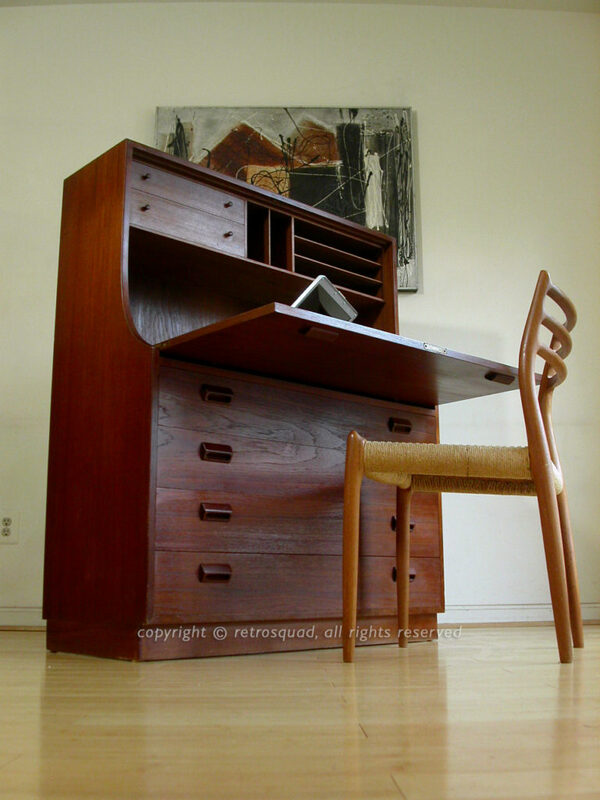 This is a really great example of the well documented drop front secretary / desk designed by Borge Mogensen and produced by Soborg Mobelfabrik. 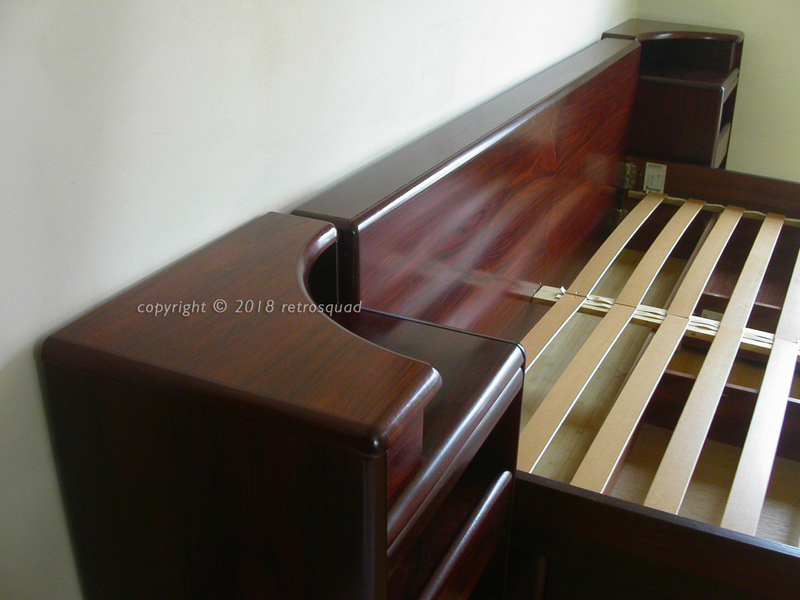 I have used this piece in guest bedrooms with great success as it offers four dresser drawers for clothing and a desk surface for laptop or paperwork. This high quality cabinet piece is VERY practical with quintessential early 60s Danish design and high levels of form and function.